For those of you who don't know, my first creative business career was as a hairstylist. Up until about 2 Months ago, I was still doing hair part time. About 3 years ago I met Megan when she sat down in my hair chair for the first time. She had never seen another stylist before because her mom was a hairstylist and had always done her hair. Her moms had "hung up her scissors" so to speak and she had been referred to me. Well fast forward to the present and she hired me to be her wedding photographer. Needless to say I was honoured. 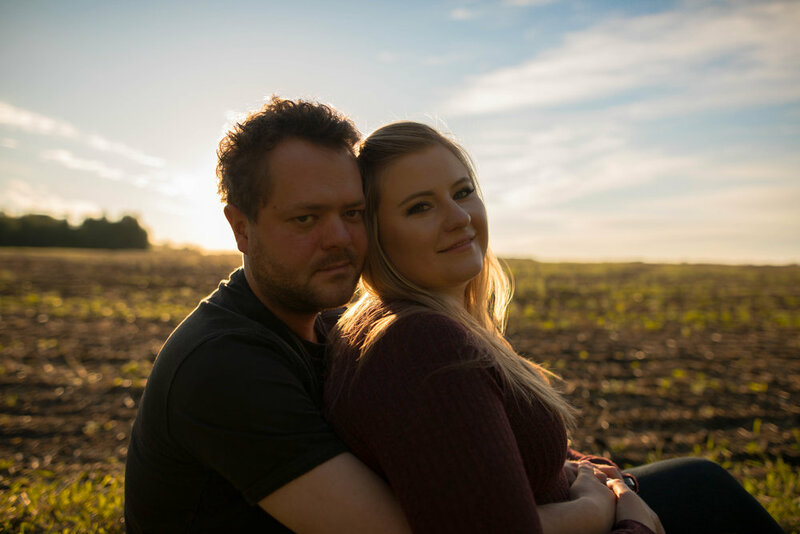 When you book a wedding with me you get an engagement session with your booking so we went to their beautiful family farm our west of Edmonton. It is an old farm that Kevin geo up working on. Even though it is no longer a working farm, It holds a ton of history and memories for them both. Take a look at a few highlights form their engagement session. Stay tuned for their wedding day blog post coming up soon.